I'm super-duper excited about this month's group activity. Our friends with The Sugar Creek Players at Vanity Theatre are going to host an acting workshop for us. Michael Patton, the board president of The Vanity Theatre, will be heading up this activity. We'll learn tips to acting well, and we will get to try out acting-out some scenes. The workshop is scheduled for 10 a.m. - Noon on Saturday, April 4th. We'll provide some light snacks for you. Please RSVP by Thursday, April 2, if you are planning to attend this acting workshop. Also - a quick note to let you know that there are two community Easter Egg hunts on Saturday, March 28th. 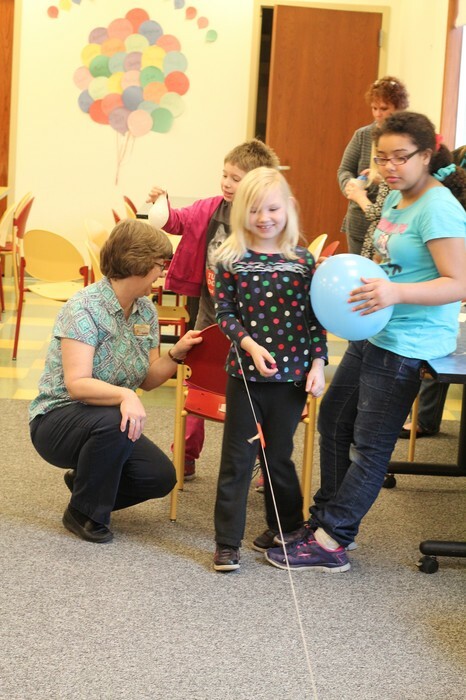 One is at Lake Waveland Park from 2-4 p.m. (free entrance this day) and the other is on the grounds of the Lew Wallace Study at 1 p.m.
JUMP mentees watch as CDPL Librarian Karen Record does an experiment of how sugar reacts with pop. 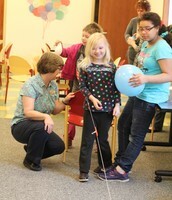 JUMP mentees watch at their balloons become rockets. 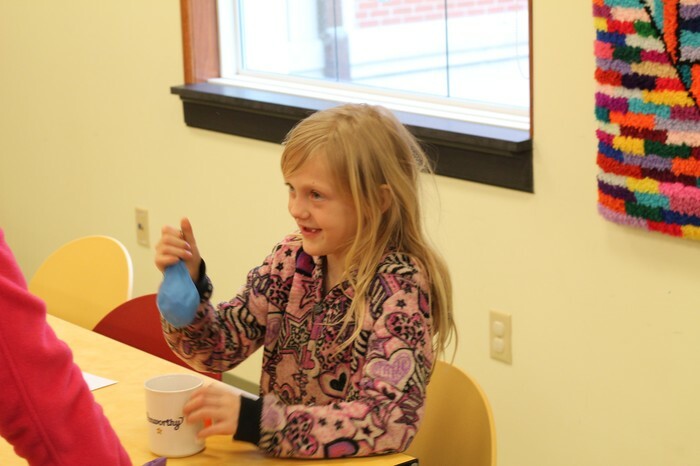 We learned how to lift up a mug using a balloon. Saturday, April 4th – JUMP Group Activity. Learn how to Act Workshop at The Vanity Theatre. 10 a.m. – Noon. Light snacks will be provided. Saturday, April 4th – 50% off day at Goodwill and $.75 sale at Trinity Mission. Tuesday, April 7th - Family Night Story Time in the Children’s Program Room at the Crawfordsville District Public Library. Come and enjoy stories, finger plays, activities, a craft and more. All ages are welcome. No registration. Wednesday, April 8th – Wamidan Concert at Salter Concert Hall in the Fine Arts Center at Wabash College. Starts at 7:30 p.m.
Thursday, April 16th – Brass Ensemble Concert at Salter Concert Hall in the Fine Arts Center at Wabash College. Starts at 7:30 p.m.
Monday, April 20th – Youth Book Club in the Children’s Program Room at the Crawfordsville District Public Library. Read a book and do activities about the book. Get a new book for the next month. Appropriate for 1st – 5th grade. Starts at 4 p.m. and registration is required. Tuesday, April 21th – Jazz Band and Jazz Combo concert at Salter Concert Hall in the Fine Arts Center at Wabash College. 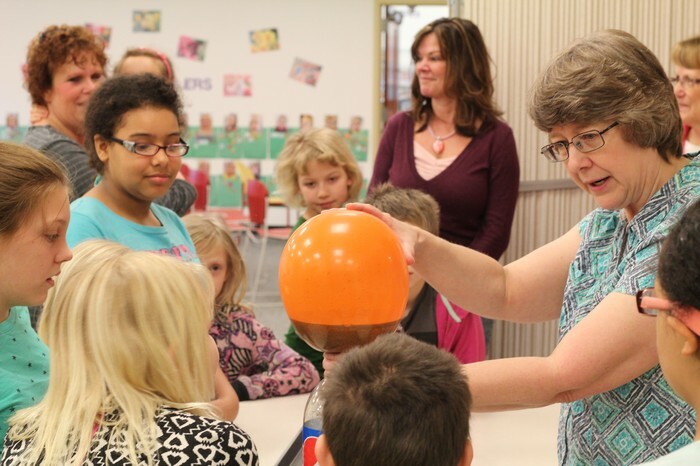 Starts at 7:30 p.m.
Thursday, April 23 – Children’s cooking class in the Children’s Program Room at the Crawfordsville District Public Library. Cook with Ms. Janella. Good for ages 6 and up. Registration is required. Friday and Saturday, April 24th and 25th – Earth Day Festival at Turkey Run State Park. Includes many fun, hands-on conservation activities. Friday activities must be pre-registered for, Saturday’s activities do NOT require a registration. Saturday, April 25th – Beginner Art Class in the Children’s Program Room at the Crawfordsville District Public Library. Come and do art with Ms. Linda. Good for ages 6-16. Registration is required. Tuesday, April 28th – Family Night Story Time in the Children’s Program Room at the Crawfordsville District Public Library. Come and enjoy stories, finger plays, activities, a craft and more. All ages are welcome. No registration.